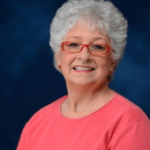 *The latest installment in the Ole Miss Retirees features is former Director Emeritus of the Public Policy Research Center and Assistant Professor Emeritus of Political Science Dana Brammer. The organization’s mission is to enable all of the university’s faculty and staff retirees to maintain and promote a close association with the university. It is the goal of the Ole Miss Faculty/Staff Retirees Association to maintain communication by providing opportunities to attend and participate in events and presentations. Jean and Dana Brammer on the Amalfi coast. Photo courtesy of Dana Brammer. Brown: Where did you grow up? Please talk about your childhood and your family. Brammer: I grew up in Burlington, Ohio, a small town with a population of about 500 located in the southern-most county of the state. Burlington was located across from Huntington, West Virginia, on the banks of the Ohio River. We could fish from the river, but didn’t eat the fish because the river was polluted by chemicals. My father worked on the Ohio River, my mother was a homemaker. I had two older brothers, one of whom is now deceased. My grandparents had 12 children, so I had lots of cousins. Burlington was actually a stop on the Underground Railroad and in the 1840’s, 37 Virginia slaves were freed by their owner. These men and women traveled to Burlington. Eventually, our little town’s population was about half Caucasian and half African-American. Brown: How did you and your wife Jean meet? Brammer: Jean and I met in junior high, and then dated in high school and college. I attended Marshall University (in West Virginia) and graduated in June, 1954. We married four days later. We moved to Alabama when I received a graduate fellowship from the Southern Regional Training Program in Public Administration. This program required that you complete one quarter of graduate studies in each of the three states (Tennessee, Kentucky, and Alabama). Brown: What did you know about Oxford and Ole Miss before you started working here? Brammer: I knew that this was the home of William Faulkner and that the University of Mississippi was a member of the Southeastern Conference (SEC). I also knew that Chancellor J. D. Williams came to Ole Miss from Marshall University. Brammer: I was working for the State of Alabama in Montgomery in 1960 when Ed Hobbs, who was Director of the University’s Department of Research in Business and Government, called me to see if I could take a 15-month leave of absence from Alabama to join the Department in conducting a highway finance study for the Mississippi Legislature. (Professor Hobbs was the father of Oxford internist/physician Dr. Milton [Mitt] Hobbs.) Of course, I did and spent the first 15 months of my University career in Jackson where the legislature is located. When the study was completed, I was offered a full-time position in the Bureau of Governmental Research (BGR). I moved to the Oxford campus in 1962 and retired in 1997 with 37 years of service. Brown: What were your job responsibilities? What positions did you hold? Photo courtesy of Dana Brammer. Brammer: I was a tenured member of the research faculty and consulted with and did studies for a number of state and local government agencies. I also worked closely with the Mississippi Municipal Association and the Mississippi Association of County Supervisors. (Former Chancellor Robert Khayat’s father was the Director of the Supervisors Association.) I served as Editor of the Public Administration Survey from 1968 until 1997. In addition, I served on the Executive Council of the Mississippi Political Science Association and as its president during the 1989-90 academic year. I served on the Executive Council of the Mississippi Chapter of the American Society for Public Administration. I also oversaw the preparation every four years of the Handbook for Mississippi Legislators. I was Coordinator for the Quadrennial Short Course for newly-elected Mississippi Legislators. Through the years, I served as Assistant Director, Associate Director, and Director of BGR which became the Public Policy Research Center before I retired. I also taught State and Local Government, Public Administration, and Mississippi Politics in the Political Science Department. Brown: Who influenced your early life? Brammer: Certainly my parents were a tremendous influence. I also was fortunate to have good youth directors at church as well as strong Scout leaders and dedicated teachers. Brown: What are some of the events in your life that made you who you are? Brammer: I seemed to be on the fringe of the civil rights movement throughout my life—growing up in integrated Burlington, then moving to Alabama in 1954 shortly after the Brown v. Board of Education decision which outlawed segregation in public schools. Jean and I attended church across from Dr. Martin Luther King’s church in Montgomery. Then there was Rosa Parks and the Bus Boycott while we were still living in Montgomery. We lived in Jackson, Mississippi during the time of the Freedom Riders in 1961, and then came to the Oxford campus at the time of James Meredith and the integration of Ole Miss in 1962. Each experience impacted and shaped my life at that time and later. Brown: Your children grew up on the Ole Miss campus. Where are they living now? Brammer: Randal lives in Huntsville, Alabama. Nancy and our two grandsons live in Jackson. Steven lives in Washington, D.C.
Brown: Tell us about something that is popular but that you find annoying. Brammer: I’d have to say the constant news programming 24/7. Each news outlet seems to sensationalize the news so that it is overwhelming. It used to be that there was a 30-minute program in the evening that encapsulated the events of the day. You were informed but not overwhelmed. These days, the barrage is constant. Brown: What has become your new routine since you retired? Brammer: I’ve now been retired for 21 years so my routine has changed through the years. I began reading for pleasure, not for the classroom. I used to frequently go to the Turner Center to exercise and work out. Jean and I travelled extensively up until 2015. We have been in every state except three, and have visited 16 countries. We loved the European river cruises. My enjoyment of those cruises is likely due to my childhood days living on the Ohio River. I volunteered with Meals on Wheels for 20 years. I quickly realized that it was more about the visit to the home than the meal itself. I volunteer at the Lafayette County and Oxford Public Library through RSVP and assist in taking the quarterly census. Brown: What are some small things that make your day better? Dana and Jean Brammer at Lake Louise in Canada. Photo courtesy of Dana Brammer. Brammer: I enjoy reading, doing crossword puzzles, and having coffee with friends. I especially enjoyed having coffee with my good friend and Political Science Department colleague, Goberdhan Bhagat—affectionately referred to as “GB.” We met twice weekly from 1964 until his passing in 2015. I still think of him often. Brown: What do you do to get rid of stress? Brammer: I turn off the TV. I also listen to good music. I like to sit on the porch and just be. I also like to cook. I don’t bake but I like to take whatever ingredients are on hand and make a meal. Very satisfying. Brammer: For about 20 years, I wrote the Mississippi article for the Encyclopedia Americana. It was tedious because of the word and space restrictions. I also taught an older ladies’ Sunday School class for 18 years at Oxford-University United Methodist Church. Brown: To quote Katherine Meadowcroft, cultural activist and writer, “What one leaves behind is the quality of one’s life, the summation of the choices and actions one makes in this life, our spiritual and moral values.” What is your legacy? Brammer: I’ll leave that to someone else to determine. We’d all like to think we’ve done a bit of good, influenced people in a positive way. I hope that is at least a part of my legacy.